What do conflict coaching and mediation have in common? Like mediation, the conflict coaching process is voluntary, confidential and involves a neutral facilitator to address ways to resolve conflict; but divorce mediation helps two or more people arrive at mutual agreements whereas conflict coaching helps one party understand and manage conflict. Conflict Coaching is a one-on-one process designed to bring clarity, develop conflict management strategies and improve interaction skills. Coaching can be an independent conflict resolution process. It can also be used in conjunction with other processes – including before, during and after mediation. Conflict coaching can be an effective resource whether conducted in-person, over the phone, via skype or email. As an alternative to mediation: When you are not able to collaborate with your spouse ( “>“I can’t get my spouse to try mediation.” ), then conflict coaching can be a powerful way to help you manage your end of the conflict. The conflict coaching process invites you to answer carefully crafted questions to identify your strengths, fears and goals and to explore what works, what doesn’t and what might. The coaching process allows you to see your situation with fresh eyes and arrive at effective conflict management solutions. Before mediation: When you aren’t ready to discuss the problem directly with your spouse: “I’m not sure if I want to ask for a divorce – I need to process my goals and whether that would actually resolve the problem,” or “I think I need spousal support but I’m afraid to raise the issue.” It is possible to engage the qualified professional as a coach first and then as a mediator, so long as both parties in the mediation agree; however, it is also common to work with an independent coach before retaining a different mediator. During mediation: Your mediator should have the conflict management and communication skills to effectively coach both spouses to strengthen communication and negotiation skills throughout the mediation. 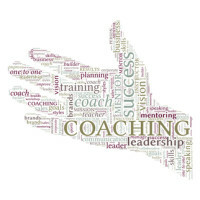 Coaching can have significant impact in separate caucus sessions during the mediation process. For example, the mediator as a conflict coach can help you find a way to articulate an apology or a concern in a way that your spouse is likely to be able to hear it. Sometimes a separate coaching session is useful within the mediation to explore a topic that makes you feel too vulnerable to discuss in the presence of your spouse. It is not unusual, for example, for a spouse who has not been in the paid workforce for a number of years to need to process fears about re-entering the workforce before being able to negotiate spousal support. Having this conversation in private with the mediator-as-coach allows you to explore a variety of possibilities before bringing them to the negotiation table. After mediation: Post-divorce life can continue to breathe life into lingering conflicts and give rise to new ones. “My ex bad-mouths me to our kids,” or “My ex’s new partner keeps interfering with our agreements.” While you can’t control your ex, a conflict coach can help you to examine your role in why “the same thing” keeps happening – and then take steps to stop the cycle. One-on-one conflict coaching in divorce can help you improve your own actions in conflict and develop strategies to make your divorce work. Thank you for your help on this issue. Up to this point I was very concerned about entering into this area. I generally do not handle divorce, however, I could see myself in this role. I have read the first article, “The Role of Conflict Coaching in Divorce Mediation.” I was aware of conflict coaching before mediation, but the article indicates that conflict coaching can take place during and after mediation. The differences and similarities between conflict coaching and mediation were explained clearly. This article is interesting and informative. As this is a very good article on conflict coaching as it relates to separation or divorce, I plan to read more of the articles on your blog.